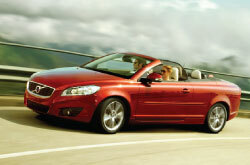 For the full 2013 Volvo C70 review, please scroll past the video below. As the leading Volvo retailer in Dallas it is our responsibility to present our customers with Volvo reviews composed by the most skillful Volvo writers in the world. We're your Volvo C70 dealer; this article will help you learn everything you need to know about the Volvo C70 in Dallas. Read on to see if the C70 is right for your garage. Comparing the 2013 Volvo C70 alongside against vehicles like the 2013 Audi A5 Cabriolet, Infiniti G37 Convertible, Lexus IS Convertible and the BMW 3 Series, and you will realize that the 2013 C70 outperforms the competition in quite a few areas. Check out our bullets to see why! 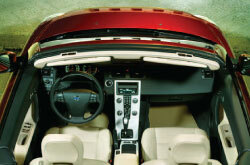 See inside the 2013 Volvo C70 - view video here! Get a long-term warranty on repairs - plus access to trustworthy Volvo parts and phenomenal Volvo technicians - at your leading Dallas area Volvo repair center. When you bring your C70 to our auto repair unit in Dallas, you'll get trustworthy service from our qualified mechanics. We handle a variety of jobs, including everything from simple inspections and serpentine belt replacement to hard to do operations like transmission maintenance and more. Make a wise choice when choosing a worthy establishment to have your Volvo C70 repaired, and remember: At Volvo of Dallas you can get hassle-free service and bargain prices on Dallas car repair. Take a look below to view money-saving service specials.